On October 27th, OnePlus, a Chinese smartphone maker, will start selling its buzz-worthy $300 One smartphone to the public. The One has been more or less available since earlier this year, but previously, you needed an invite from a current owner before placing an order. Although the sale will only last for one hour, there won’t be a limit on the number of handsets sold. In this scenario, we do not have the ability to absorb miscalculations in inventory. Any excess inventory will lead to a direct loss, and a larger miscalculation means we need to close our doors. We believe that we’re forcing positive change within our industry by increasing consumer choice and building better quality products, and we’re not looking to stop anytime soon. This is why we have to be conservative and only produce the amount of devices we’re 100% sure will be sold. The result: The OnePlus One has been extremely difficult to obtain. Sure, it’s a very nice device at a aggressive price — $300 is practically a steal for a phone with a 5.5-inch inch 1080p screen with a Qualcomm Snapdragon 801 processor. 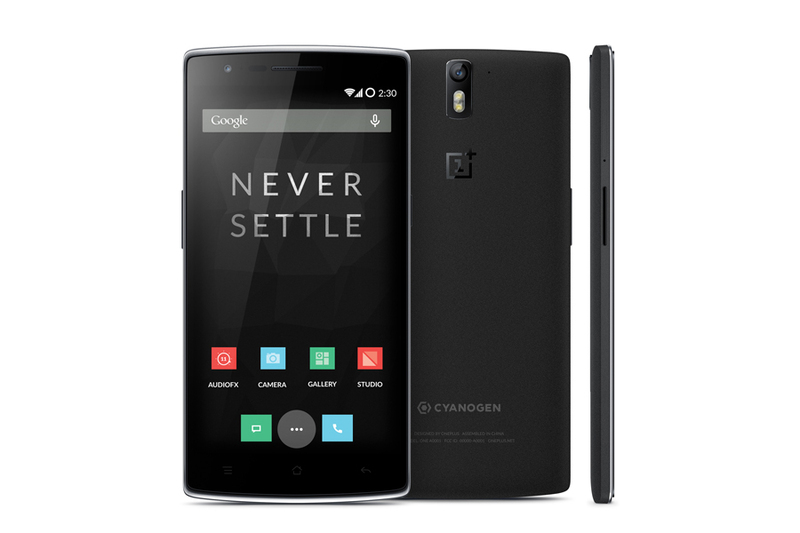 It runs Cyanogenmod, an alternate distribution of Android that many enthusiasts prefer. But it’s still ultimately just a smartphone, and it doesn’t do anything that devices from Samsung or HTC or Xiaomi or Oppo can’t do. The invite system has driven millions of clicks to the OnePlus forums — one thread, “California Invite Share Community,” has over 25,000 posts and just under a quarter of a million views. Sure, not all of those posts are centering around an invite, but that’s part of its success: OnePlus has successfully formed a evangelist community around a product. The buzz has let OnePlus even hold contests — like destroying your old phone on video — simply for the privilege to purchase their phone, although some clumsy promotions have landed the company in hot water. OnePlus isn’t the only company that likes to sell its devices through limited time flash sales and invite-only backdoor bazaars: It’s actually an extremely common practice in parts of Asia. The only way to get a Xiaomi device in parts of India, for instance, is to have a quick clicker finger to get in on one of the Flipkart flash sales. Tomorrow, Flipkart is holding its seventh flash sale in recent months — the last one reportedly sold 100,000 Xiaomi Redmi handsets in just over four seconds. But the flash-sale-and-invite scheme isn’t just limited to Asian startups. Even Google initially limited Google Glass sales — the first batch went to a handpicked group, many of whom were celebrities. Although anyone can now pick up a pair of Google Glass, for years, you needed an invite from someone who already had Glass. Google even held a one-day flash sale last April. The advantages of initially selling Google Glass this way resemble the advantages that OnePlus saw, even though Google isn’t as worried about inventory risk. Limited availability of Google Glass gave it cache, and galvanized the early adopter community in such a way that they gladly refer to themselves as “Explorers.” Since Glass went on sale to the public in early September, there have been far fewer kerfuffles from proud Explorers “educating” others about the advantages of wearable computing. Apple’s evangelists have been a major advantage for the company since the 1980s. They line up for new iPhones and new iPads, convince their friends and peers about the benefits of Apple computers, and their attention and passion lead to product coverage in the media. When other hardware companies restrict initial availability, the exclusivity helps create a similar, but much smaller, community. The demand generated by OnePlus fans allows the company to eschew expensive deals with carriers and sales representatives, and instead sell its handsets directly to enthusiasts. In the same way that an extensive record collection can signal commitment to music as hobby and lifestyle, sporting a hard-to-find gadget — whether it’s a mid-range smartphone in Asia or a cutting-edge face computer in the United States — can reveal an investment and interest in gadgets and tech culture to like-minded people, whether online or in real life. I do not doubt that OnePlus saves money by only producing the number of devices it has already sold, but it’s hard to deny that part of the buzz around the OnePlus One surrounds the fact that you can’t simply take out your credit card and order one. Since there is no evidence that OPO sold any significant volume outside China or thay they ever intend to ,they might be about building a brand for cheap and real reason they do what they do is to not sell. Keeping inventory low to to keep costs lower is valid point but for folks tat actually sell phones. It’s one thing to start slow to figure out demand and then try to meet it and another to never make any attempt to meet demand. Xiaomi in India had great prices and demand was huge, but they sold some 335 k units in Q3 when they started and they are heading towards 1 to 1.5 mil units in Q4 depending what models they actually end up selling by the end of the year and timing.. They had plans for much lower production and takes time to adjust but they are adjusting and trying to meet demand. OPO has shown no sign of wanting to sell outside China (and there is plenty of supply in china). Even the last move to open pre-orders for 1h makes that point, suggesting it’s just a marketing stunt. And lets not forget that Apple does it too, it’s just a matter of how far they go. Flash sales and invites are more trouble than there worth to most consumers. I agree — but those that end up going through with it have an almost emotional connection to the company.